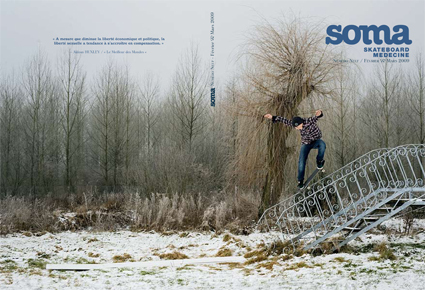 SOMA MAGAZINE #10 OUT NOW - ALL PREVIOUS ISSUES AVAILABLE ONLINE! For the ones who are not able to catch a copy of this wonderful magazine, SOMA offers all previous issues as PDF download on their website! Click here for the last issue with the “coolest” cover of the season starring Carhartt teamrider Phil Zwijsen. CARHARTT x CLOSE UP MINIATURE SKATEBOARDS!